Time may not be available for the intensive recruiting efforts required to attract quality talent. Your conventional recruiting methods may not be working. 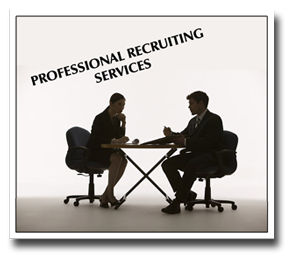 Recruiting resources aren’t available to find candidates for specialized or high level positions. You may not want to directly contact organizations where potential candidates are employed. The recruiting process may need to be confidential. The Focus Group is a management consulting and executive recruiting firm. We provide enhanced recruiting capabilities for Georgia Employers’ Association members. The Focus Group has access to several online job boards, each with thousands of candidate resumés, to augment our existing resources and database. Our recruiting services are designed to help you tightly define your job requirements and to provide quick referral of candidates who meet the position specifications. Our relationship with GEA enables us to provide a very competitive fee schedule to members, and a level of competency and trust that may be difficult to find in the open market. The Focus Group’s recruiting services are provided on a contingency basis to GEA members. Fees are applicable only if a candidate we refer is hired for the position. In this event, members are charged 20% of the employee’s first year earnings in payment for recruiting services. Additional discounts may be available when simultaneous searches are conducted for multiple positions. The Focus Group’s approach to recruiting has two essential objectives that will be tailored to each member’s needs and to the specific requirements of the position to be filled. A comprehensive job analysis questionnaire is be used to conduct face-to-face or telephone interviews with company representatives to obtain detailed position requirements. From this information, a comprehensive job description is developed. All details are verified and reviewed with the hiring company, including salary range, benefits offered, and relocation policy. A timeline for the recruiting process is established. The qualification and evaluation process utilizes telephone pre-screening interviews and in-depth interviews for viable candidates. The Focus Group will conduct reference checks for eligible candidates and may use a variety of assessment instruments dependent upon the position requirements. Interview notes and resumes are discussed with the member employer before scheduling interviews. The Focus Group can assist in interview scheduling and with negotiations and closing the offer. We will maintain post-hire contact with the member company to monitor satisfaction with the candidate’s job performance. Pete Tosh, Founder of The Focus Group, has provided consulting and training services to manufacturing and service organizations across the U.S., Canada, Europe, and the Middle East. He has worked closely with the leadership teams of organizations such as Exxon, Brink’s, EMC, State Farm, Marriott, N.C.I., Cracker Barrel, Freddie Mac, and YKK Pete is also the co – author of Leading Your Organization to the Next Level. Prior to founding The Focus Group over 20 years ago, Pete had 15 years of extensive experience — at the plant, divisional, and corporate levels — in the Human Resource and Customer Satisfaction fields. Pete held leadership positions — to include the V.P. of Human Resources and Quality — with Allied Signal, Imperial Chemical Industries, Reynolds Metals and Charter Medical. Pete also frequently creates and facilitates a wide variety of leadership development programs for organizations such as the American Management Association — “Strategic Planning”, “Moving from an Operational Manager to a Strategic Thinker”, “Managing Organizational Change”, “Profiting from Total Service Leadership”, “Talent Management” and “Utilizing H.R. Metrics.” Employees from over 4,000 organizations have benefited from Pete’s experience and insightful perspectives.